Learn how to make homemade Baileys Irish Cream with this quick and simple recipe. 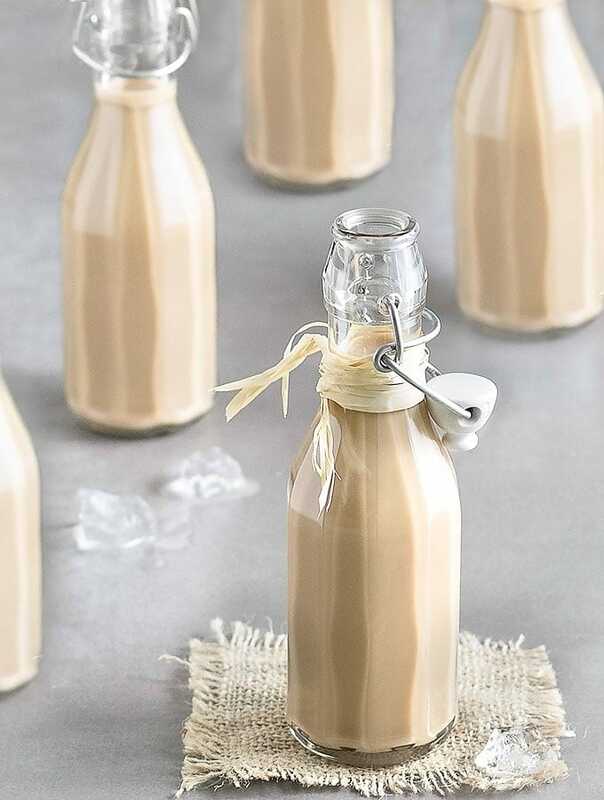 Have you ever wanted to make homemade Baileys Irish cream? You won’t believe how easy it is!! It’s cheaper than buying a bottle from the store, and it tastes amazing! All you need is a blender, and a few ingredients you likely already have on hand. In less than a minute, you will be sipping a rich, creamy, and velvety smooth Irish cream. 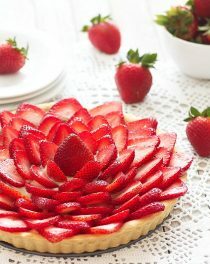 The ratios of the ingredients can be tweaked according to your preferences. Do you want more or less chocolate? Go for it. Do you want it stronger? Add more whiskey. It’s entirely up to you. Enjoy this liqueur with ice, add a splash to your coffee, pour it over ice cream, use it for baking goods, or give it as a gift for holidays and special occasions. The recipe makes about 1 litre (4 cups). You can either pour it into 1 large bottle, or divide it into smaller bottles and store in the refrigerator for up to 2 months. 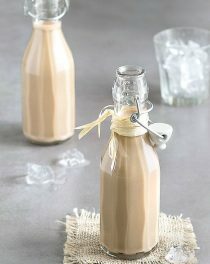 If you try this homemade Baileys Irish cream, I’d love to hear what you think. Leave a comment and don’t forget to take a picture and share it on my Facebook page or tag it #aseasyasapplepie on Instagram! Looking for more DIY Christmas gift ideas? Check out my Homemade Flavored Salt, Homemade Vegetable Stock Powder, and Italian Hot Chocolate Mix. Place all the ingredients in the canister of a blender and blend until smooth, for about 30 seconds. Transfer the Baileys Irish cream to a glass bottle, and store in the refrigerator for up to 2 months. High speed blenders can curdle the mixture. Start your blender on a medium speed and increase slowly. If the mixture starts to curdle, turn the speed back down and blend until just combined. Another solution is to strain the liquid through a sieve, then scrape any excess off the top with a spoon. 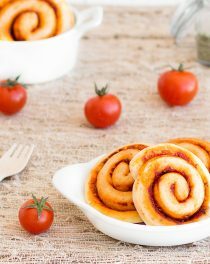 Love this recipe and so does my mum, which inspired me to include it in my post on DIY gifts for Mothers Day. Where do you find those neat glass bottles? Drinking it now next to the fireplace and Christmas tree- very nice. Enjoy it! 🙂 Happy Holidays! Where did you find these bottles? I love them. The bottles can n e found at meijer or dollar tree stores. Silly question but is the coffee made up, or is it a teaspoon of coffee granules? I wondered the same thing so thanks for clarifying! This is delicious, came out perfect and better than the store bought versions! I used 1/2 tsp cocoa powder because I had no chocolate syrup, just in case anyone else may not have the syrup at hand either, cocoa powder is a fine alternative. I appreciate your half & half option as well because I don’t have any heavy cream in the house and who wants the extra calories anyway? 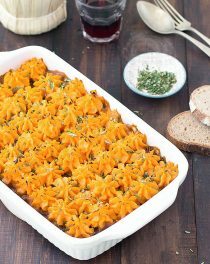 Thank you for this recipe, I will be making batches to give away as gifts! Cheers! Wool cacao rather than cocoa powder work? Just made your Irish Cream recipe for St Patricks Day and it is really good, taking it for a dinner party to have with pound cake, ice cream, and coffee for dessert. is the shipping on the bottles expensive? the bottles themselves are reasonable. .
Just made my first batch and I’m loving it thank you so much! For folks who are looking for the bottles, they are also available at amazon.com. Search “glass bottles for liquor.” I bought the Bormioli Rocco 8.5 oz set of 12 and plan to add my own raffia or ribbon. Great recipe!! This will be my Christmas gifts to friends and family this year! I am curious about why this has to be stored in the refrigerator, and why it will only last for 2 months. It seems that Bailey’s Irish Cream does not require refrigeration and does not expire. Do you know if a higher alcohol content were used, would it last longer and not require refrigeration? Read the label. There is an expiration date and you must refrigerate after opening. Made this tonight as a trial run for Christmas. It is very good and the heavy cream was worth it. Thanks for the recipe. Glad to hear that, David! Thank you for your feedback! I haven’t tried it with fat free half n half, but I think it will work. I make this every year using the same recipe. It is delicious!! I serve it over ice cubes made of coffee and add a little liquid peppermint coffee creamer. So good! Glad to hear that, Julie! 🙂 The peppermint coffee creamer sounds delicious! You can store in the refrigerator for up to 2 months. Can I try this recipe with Scotch instead of Irish whiskey? If I wanted to add a flavour, like salted caramel or vanilla could I used food flavouring? Sure, you can. Just add the flavoring (1 teaspoon) with the other ingredients. Glad to hear that, Kat! 🙂 The salted caramel one sounds delicious! I am trying this today and cannot wait! My husband thinks I should try it with Canadian Club, since we have some on hand. I think I better stick to Jameson or I’ll be disappointed. Comments? Canadian Club is fine! 🙂 Let me know how it goes! Made this today! It’s delicious! Thanks for the less expensive more delicious Irish Cream recipe! My mother will love this! I always have a bottle of this in my refrigerator! It’s fine as is but I wondered what I could to keep the chocolate syrup from settling to the bottom. I am glad you like this recipe, Marilyn. Just shake well before using. Instead of heavy cream, can I use normal whip cream for this? Yup- easy as pie. Made 2 separate batches and just had to drink now the leftover. This is so awesome. Thank you! I want to make this up and give it out as Christmas presents, how long would it last unrefridgerated for? I am super excited to try this! Could I grind my own coffee beans or does it have to be instant coffee? Thank you! Could you make it more coffee flavoured by adding more granules? Or would it need another way of flavouring? Thanks. This is a wonderful drink! We made it for holiday gifts and it went over very well! Just made this & it tastes great! Can you tell me how the calories compare to store bought Bailey’s? I added the nutrition info. One portion has more or less 117 calories (the store bought one has 130 calories). I made two batches without curdling. The second two both curdled. How can I prevent that from happening? Love this. First attempt and I used Master’s Imperial Scotch whisky. Added just 200 ml and it’s punchy enough for me. Added two tsp of instant coffee granules and 2+ tsp of cocoa powder. Slightly more condensed milk n cream (say 5 to 20 ml more). Drinking it now with my cold coffee. Glad you liked it, Sam 🙂 Thank you for the feedback! I am off to get some condensed milk and give this recipe a shot. I made homemade Kahlua at Christmas but do prefer Baileys. Will definitely let you know how it turns out for me. I’m wondering if camp coffee would be okay. I made this recipe and used camp coffee. I also use pure vanilla extract. It is absolutely delicious. Thank you for the recipe. I will most definitely be introducing it to my Baileys loving gal pals. Loved ready all the comments, I’m excited to try this. If I wanted to add coconut flavour to it how would I do that? Thank you. I cannot have alcohol. How will that affect the taste? Is there anything I can substitute (that doesn’t have alcohol)? Sorry, I haven’t tried it without alcohol! I used Kahlua instead of coffee and chocolate syrup. Bloody smashing nip!!! Glad you liked this recipe, Jeannie! :) Happy Easter!